This system extends over the Provinces of Pordenone and Udine with a small area in the Province of Belluno. Its surface area of 21,461 hectares is enclosed by the river Piave, the higher reaches of the Tagliamento river and by Val Tramontina and Val Cellina. 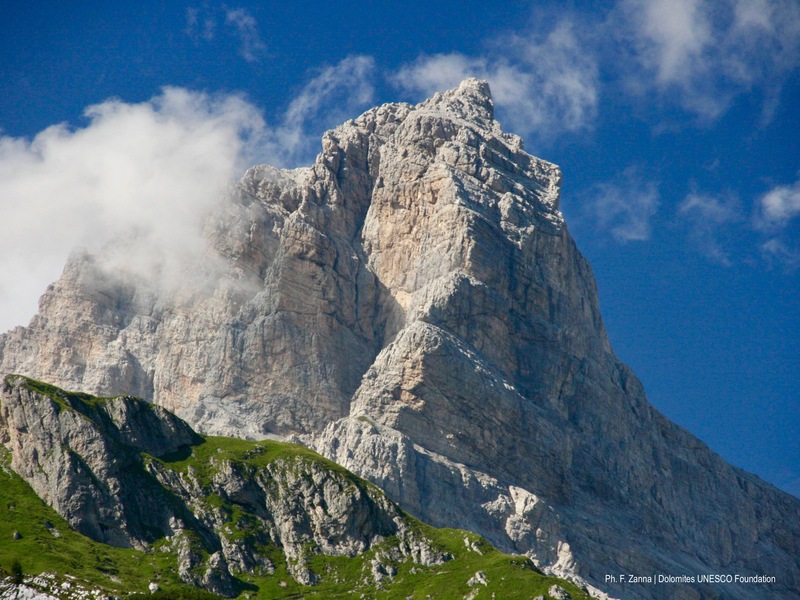 The Dolomiti Friulane e d’Oltre Piave, to give it its full name, is a fairly compact, continuous system of peaks offering breath-taking views over its magical landscape. 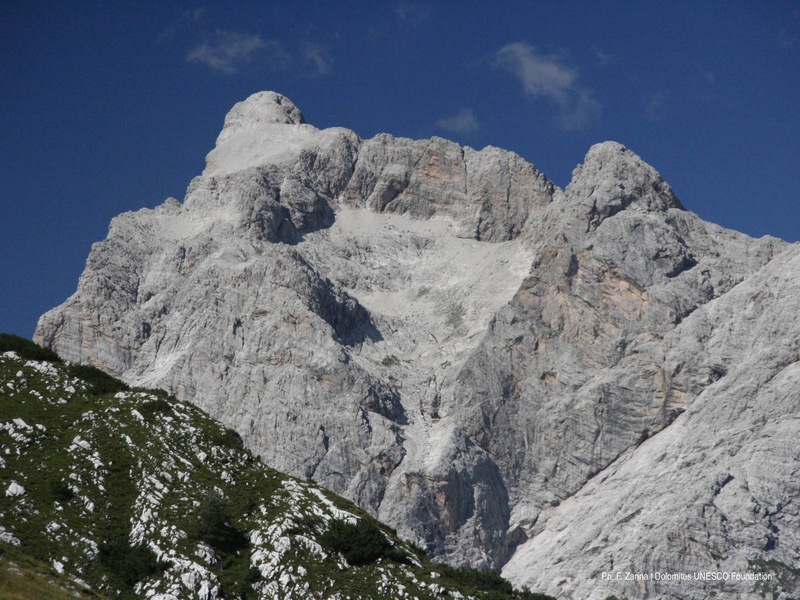 Moving from north to south you encounter mounts Cridola (2,581m) and the Monfalconi (Cima Monfalcon 2,548m) peaks which include the spectacular Campanile di Val Montanaia (2,173m), Spalti di Toro (Cadin di Toro 2,386m) and the Duranno (2,652m)-Cima Preti (2,706m) chain. What makes this system special is its extensive wilderness areas. Here you can marvel at the sheer power of Mother Nature, largely untouched by human interference. 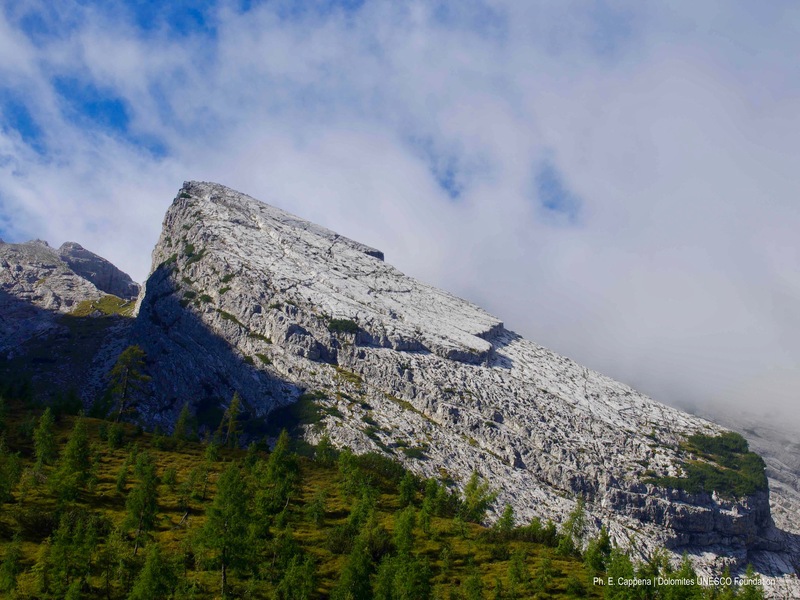 Il Parco Naturale delle Dolomiti Friulane is an area of natural parkland, designated as such in 1996 to preserve and enhance the geological and natural heritage of the system. This area of 37,000 hectares in the Provinces of Udine and Pordenone is completely free from public roads. 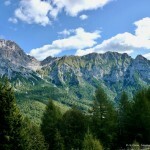 The area, bounded by the Valcellina, Alta Valle del Tagliamento and Val Tramontina valleys, is home to the most outstanding mountain peaks in the UNESCO system – Duranno, Cima Preti, Monfalconi and Cridola. 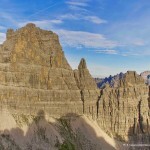 It has a wonderful array of flora and fauna, the realm of the golden eagle, a bird of prey that only nests in the wildest of natural environments (www.parcodolomitifriulane.it). The signs of the massive Vajont landslide, a disaster that is sadly famous all over Italy and overseas, can still be seen on the south-western border of this system. In the 1950s the Vajont valley was closed off by what was to become, at 268 metres, the tallest double-arch dam of that era, in an effort to exploit the hydroelectric potential of the Vajont basin. As the first trial fillings of the reservoir were in progress, landslips began to happen on the northern face of Monte Toc. On 9 October 1963, a massive landslide of 250 million cubic metres slid down the mountain and fell into the reservoir, raising a giant wave of 140m that overtopped the dam, destroying Longarone and the other nearby villages in the Piave Valley. Part of the wave flowed back into the reservoir, washing away houses, livestock and people and parts of the villages of Erto and Casso. This disaster, which claimed the lives of some 2,000 victims, was caused by the thoughtless exploitation of the natural environment and failure to plan civil engineering work properly in that area. The signs of this catastrophe are still visible in the scarred landscape and the dam has now become an open-air museum, a stern reminder of the need to treat the natural environment with care, mindful of the risk of heedless human intervention unleashing far more powerful forces. 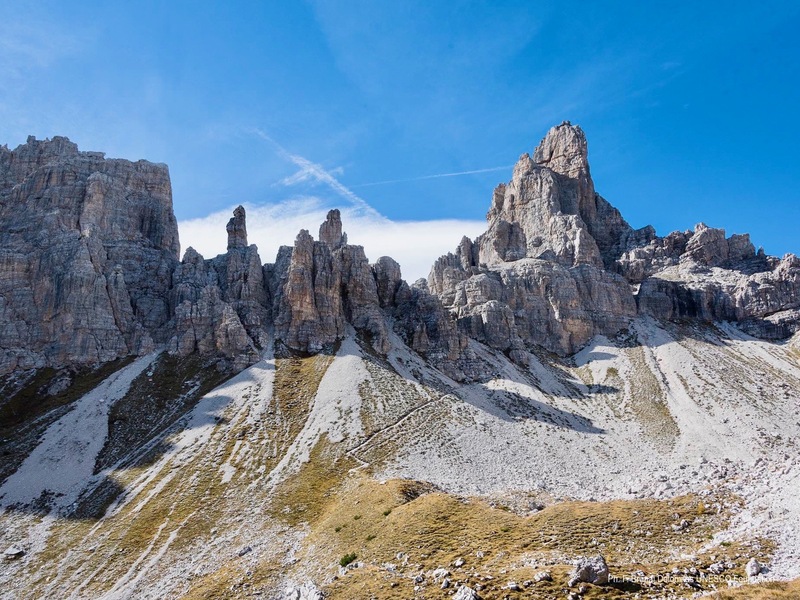 The predominant rocks in this system tell the story of the Norian and Rhaetian eras of the late Triassic and of the Jurassic period, thus making up the concluding chapters in the Great Dolomite Saga. 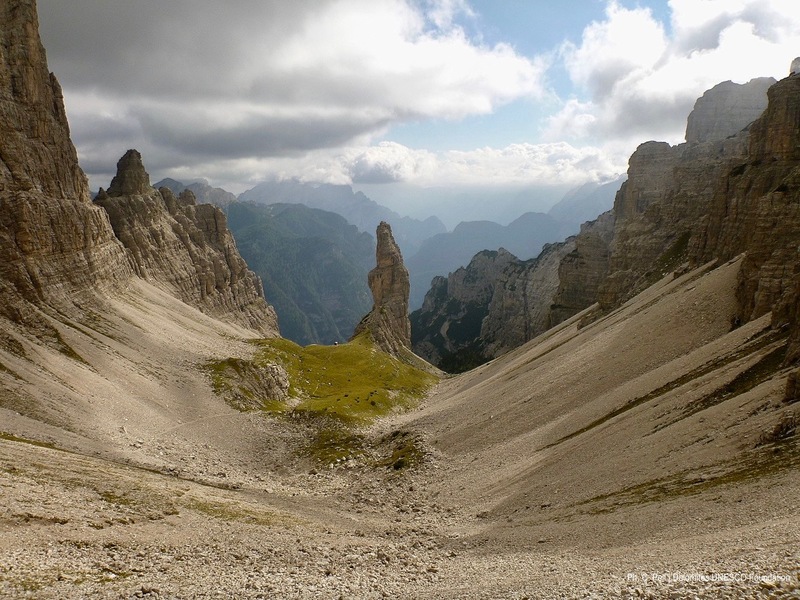 Moreover, a very distinctive lithification process shaped the building blocks of these mountains in the south-eastern region of the Dolomites. The rock sequence is complicated by the thrusts creating steeply inclined faults, cutting through it and resulting in repetitions of the sequence. Main Dolomite rock, deposited towards the end of the Triassic period on an extensive flood plain, is the most common showing an early tendency to trap poorly oxygenated basins between the rock platforms, known as Forni Dolomite. Many dinosaur footprints from the late Triassic period have been found in this system. The rocks of Val di Suola tell the story of the sinking of the Jurassic era. In the westernmost section, the system consists of Jurassic and Cretaceous rocks, closely related to the processes that produced the Friuli platform. The Jurassic deposits from the sea that is generally very deep (the Soverzene, Igne, Vajont, Fonzaso and Rosso Ammonitico formations) are mainly calcareous rock and make up the Dof-Najarda area, the area to the west of Cimolais, the Cellina summit and the upper part of the Raut massif. There are rocks from the more recent Cretaceous and Palaeocene-Eocene periods found only on the valley floor in the Cellina area. 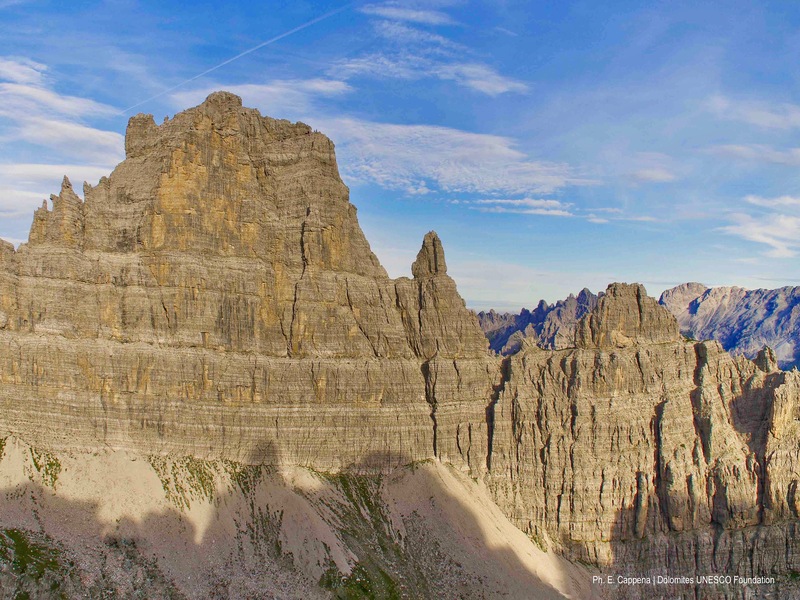 Finally, this system is of great interest for reconstructing the Quaternary evolution of the Dolomites since it contains deposits from glacial lakes, outwash plains, known as sandurs and other well preserved deposits from the late glacial age, for example in Val Zemola. The geomorphological set-up of this large system depends largely on the complexity of the folds and faults and how these develop, in addition to the variation in rock types. This is because the system lies close to the southern edge of the chain where deformation due to movements of the crust was and still is more pronounced and widespread. The inclination of the layers and the planes of the numerous thrust faults are reflected in the NE-SW orientation of the principal mountain ridges, Cridola, Busca, Duranno, Preti, Pramaggiore, Cornagiet, their asymmetrical geometry displaying northern flanks that are less steep than the southern ones, and in the formation of the principal valleys, Valle del Vajont, Val Cimoliana, Val Settimana. The landscape is adorned with towers and spires where the stratification or the planes of low-angle thrust faults intersect with vertical tectonic fractures, as in mounts Cridola, Monfalconi and Spalti di Toro. 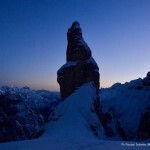 A truly unique feature is the monumental Campanile di Val Montanaia, set apart by erosion along the lines of weakness created by these shear forces, it rises in splendid isolation in the valley of the same name. Given that most of the outcrops are Dolomite or other carbonate rock arranged in imposing, resilient banks, the rocky landscape appears rugged and untamed. The Libri di San Daniele (literally St Daniel’s books) on the crest of Monte Borgà, are massive slabs of rock whose geometry makes them resemble the heaped up pages of a book. The slabs were separated from one another by the selective erosion of the clay that once joined them together. The lateral hanging valleys in this system, among them Val Zemola and Val Montanaia, contain some interesting concentrations of glacial deposits. The current landscape is marked by periglacial features and mountain streams. The constant freezing and thawing processes that afflict the walls already fractured by tectonic movements further break them down, leading to the formation of extensive detrital cones and debris fields that, when they are collected by mountain streams, lead to frequent accretion of the valley floors. In other places the mountain streams cut into the substrate creating deep gorges. 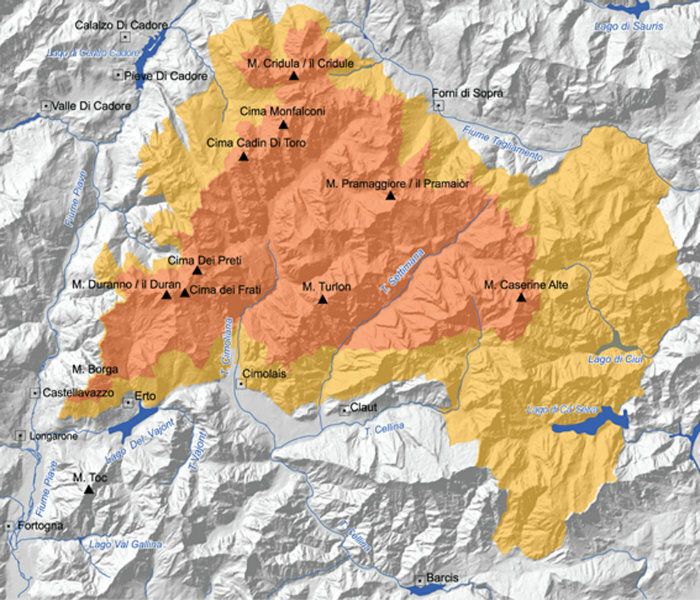 Landslides are very common in this area, for example the Monte Salta landslide that is threatening the village of Casso, the Pineda landslide and the tragic Vajont landslide. 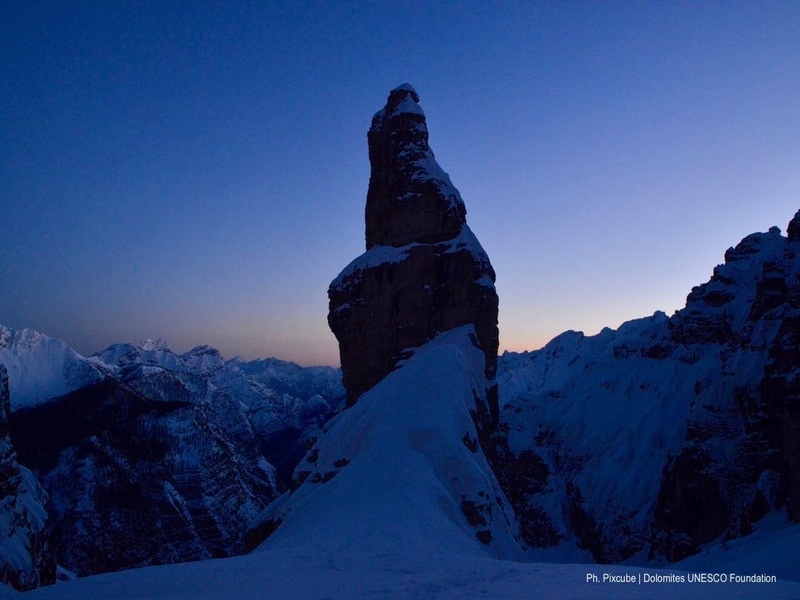 The Dolomiti Friulane e d’Oltre Piave system provides a number of educational and informative facilities, where you can delve into the fascinating natural, cultural and social aspects of this system. 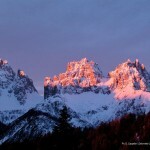 The natural parkland, Il Parco Naturale Dolomiti Friulane, has a number of visitor centres housing both permanent and temporary exhibitions on themes associated with the parkland itself and the life and history of the local communities. The Cimolais visitor centre, for example, focuses on the parkland wildlife, the Andreis centre on the birdlife in particular, the Forni di Sopra and Forni di Sotto centres are dedicated to plant life, while the Tramonti di Sopra visitor centre concentrates on the aquatic life. The Poffabro visitor centre focuses on human history of the area and its economic and social development, with two permanent exhibitions: L’Arte Casearia e l’Alpeggio nel Territorio del Parco, on dairy farming within the parkland, and In mont: le malghe del Parco on the local dairies. 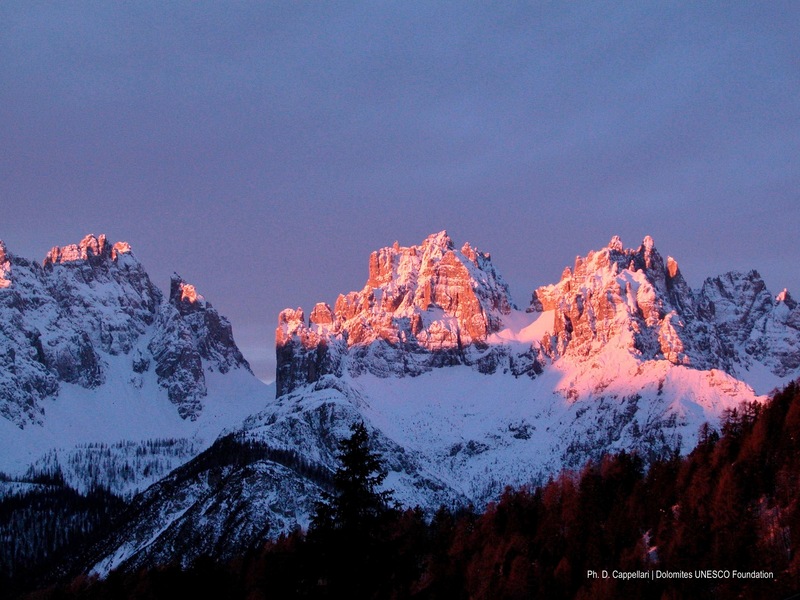 The Erto e Casso visitor centre is dedicated to the Vajont disaster. For those with a taste for the more ancient history of the area, there is the Tramonti di Sopra fossil museum and the Montereale Valcellina archaeological museum. The rural history of the Friuli region is recounted in Museo Rurale Fornese in Forni di Sopra, in Museo Provinciale della Vita dell’Arte e Civiltà Contadina in Andreis and Maniago, in Museo Casa Clautana in Claut, in Museo d’Arte Fabbrile e delle Coltellerie (featuring the craft of blacksmiths and cutlers) in Maniago. The museum in Frisanco, Da li Mans di Carlin is of particular interest with a 1:10-scale reconstruction of the peasant society of Valcolvera, with a furnished cottage, the church complete with bell tower, the wind and water mills, the smithy and the dairy. An enchanting little world of yesteryear built using authentic materials and construction methods (www.museifriuliveneziagiulia.it). 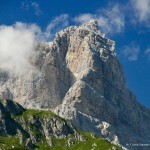 There are also a number of museums dedicated to the historical events involving the Friuli Dolomites. These mountains were also a front line during the First World War, with evidence of this period to be found along its footpaths. 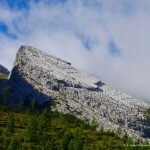 For example, in Claut you can follow the trail of the Strada degli Alpini, laid down by Alpine troops at the turn of the twentieth century, the scene of violent clashes during the Great War. This route is also interesting from the geological point of view in that some dinosaur footprints have been found. 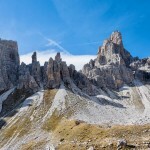 The Dolomiti Friulane e d’Oltre Piave system offers a vast range of rambling and hiking trails far from traffic and human habitation, with only the sounds of nature to accompany some breath-taking views. Alta Via n. 6 also known as Alta Via dei Silenzi (the silent road) crosses the system, from the P. F. Calvi refuge in the Comelico and Sappada neighbourhood, leading to Vittorio Veneto along mountain trails. This is not a particularly challenging route, but it is quite long, the round trip taking about 6 hours, therefore it is recommended for quite fit, experienced hikers. As well as the fascinating plant and animal life, there are some amazing views over the Spalti di Toro peaks and the Monfalconi chain. 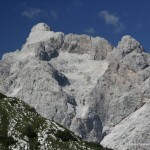 Starting from Pian Meluzzo (Pian Melùth in the local Friuli dialect), in the Municipality of Cimolais, near the Pordenone refuge, you travel over the Sciol da Mont scree then follow footpath 370. This climbs up steeply to the pasturelands of the Roncada shepherd’s hut after which you continue on a diagonal climb until you reach, first the Lama then the Savalons pass. Here it is worthwhile taking a detour up to the nearby grassy summit where you can drink in an incredible view, not only over the Dolomiti Friulane e d’Oltre Piave (Spalti di Toro, Monfalconi with Campanile di Val Montanaia, Duranno-Cima Preti), but also the other UNESCO World Heritage Site peaks – mounts Pelmo, Civetta, Marmolada and Antelao. On your return to the Savalons pass, you take footpath 370 which takes you down to the Bregolina Grande shepherd’s hut, after which you retrace your footsteps back to the starting point of the trail. This is quite an easy trail, suitable for everyone, lasting a total of three and a half hours. 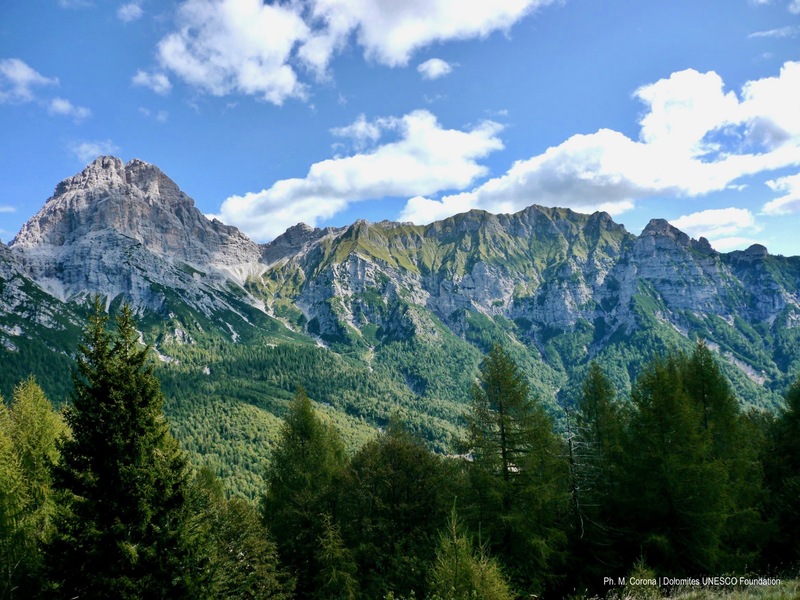 You start off from the Pordenone refuge, only 10 minutes’ walk from the car park, in the lovely Val Cimoliana, in the Municipality of Cimolais. 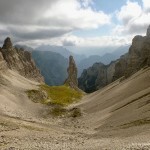 Footpath 353 takes you to the peak of Il Campanile di Val Montanaia, known as the “bell-tower” and the Perugini shelter. Now the landscape changes completely, vegetation gives way to stretches of gravel and stones. Crossing these takes little more effort, but the reward is the stunning view. After the gravely stretch, the trail continues among dwarf pines on soft ground, reaching the foot of Il Campanile, a famous spot much loved by climbing fans. Still following the footpath, you come to the Perugini shelter at an altitude of 2,060m, then the Montanaia pass where the footpath disappears under some rather unstable gravel, and then the Cimoliana pass. 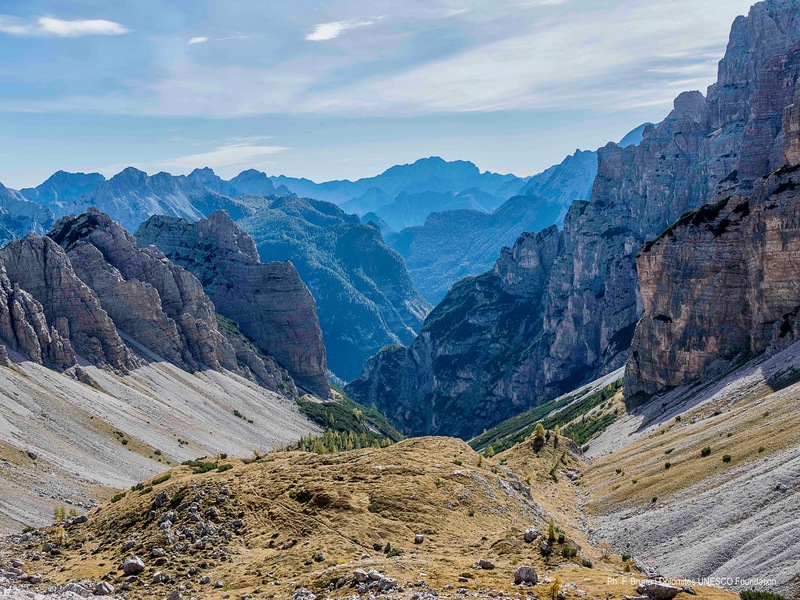 To return to the Pordenone refuge, you can either take the same trail back or walk on through the Cimoliana pass and take the longer circular trail around Il Campanile. For this option you take footpath 360 heading downward through a steep canyon, which is equipped with some climbing aids, so it is advisable to take a Via Ferrata set with you. Footpath 360 continues past the canyon but you take footpath 349 to get back to the Pordenone refuge. Over the centuries the mountains of the Dolomiti Friulane e d’Oltre Piave system have worked on the imagination of the local inhabitants who have dreamed up myths and legends to explain the strange shapes encountered in this landscape and the mysterious atmosphere that has enchanted and continues to enchant all who gaze upon these rocks. The writer, sculptor and mountaineer Mauro Corona, is just one of these, telling the story of the genesis of the mountain stream Cellina in his novel Il Canto delle Manére (Mondadori, 2009). “At the entrance to the valley Val Chialedina, on the other side of the Muri mountains, there flowed La Cellina, a mountain stream, its waters blue-green and sometimes red and yellow. The Cellina’s waters are the most beautiful in the world, in the autumn resembling a stream of leaves in motion. Cellina was a young girl and Cellino a young man. Now it’s time to take a break to tell you who these two youngsters were, otherwise we would be doing a disservice to the history of Val Chialedina. Cellino and Cellina were two sixteen-year-old shepherds who pastured goats on the slopes of Cadin delle More, above the Fugna pass. They were madly in love with each other but the wizard Magòr, who lived in the Cadin at the foot of the mountain known as Col Nudo, became jealous. He wanted Cellina for himself and didn’t want the young man to have her. So, he cast a spell that changed Cellino into a rock, the very rock you can still see just in front of the village. Cellina was desperate and, climbing to the top of that rock, she flung herself down, dying between two stones near a sheer cliff-face. The woodland spirits got together and decided to let this poor young couple be together forever. The spirits worked to ensure that Cellina could caress her beloved for all eternity, turning her into water, a mountain stream of a thousand colours that, as it rushes past, would caress the face of the rock that was once Cellino. Thus, from the dead body lying smashed on the ground sprang forth, La Cellina, named after that unfortunate young woman. As for Magòr, that wretch got his comeuppance. The woodland spirits grabbed him by the ears and embedded him in the rocks of Col Nudo, where he was left to suffer for all eternity. This is why this mountain is called Magòr by the people of Claut. Viewing it from Claut you can see the wizard trying to extricate himself from the crag. As he pushes, hits out and screams in fury he emits clouds of breath that, from the village, look like mist. It is however, the wizard trying frantically to free himself from the rock, his breath coming like smoke out of a chimney. Cadin di Magòr is usually shrouded in mist, but on those rare occasions when it is free of mist it means the wizard is at rest, exhausted by his struggles. This then, is his punishment, to struggle for all eternity, until the end of the world. This story of the doomed young lovers is why the locals call the tiny hamlet at the valley entrance Cellino. It was once called Lastéi after the local stone from which the houses were made”.